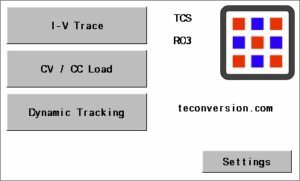 The RO Series I-V Tracer and at-load Tester is a flexible solution to test TEG(s) and PV cell(s) and to operate them at load; it is an independent electronic load specifically designed for TEGs and solar cells. The RO series can instantaneously inspect the electrical performance of the device connected to its input terminals or continuously operates at-load. 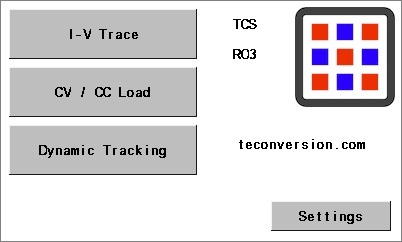 The power obtained by the TEG/PV is dissipated, hence this is a test solution, and not a final application solution (see power converters), that allows to understand the performance of TEG/PV when operating in the user’s system. No other load or store battery is required to operate the RO series IV-Tracer and at-load Tester. Get more details on the entry level IV Tracer and DC Load, pick and chose the voltage and current range.